You should consider many factors when choosing the best sleeping bag. 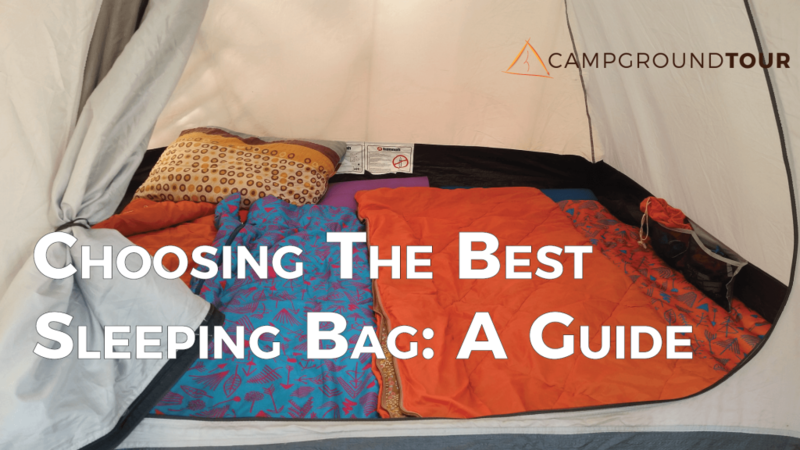 The environment you plan to camp in determines the type of bag most suitable for you. Not all sleeping bags perform equally. Understanding the basics of sleeping bag construction and temperature ratings helps make the most informed choice possible when selecting the best sleeping bag for your situation. Read through below to discover the CampgroundTour Gear Essentials contenders for best sleeping bag! When choosing the best sleeping bag for your next adventure, consider the fill, type, and temperature rating. Knowing how these factors affect the performance of a sleeping bag ensures a restful night’s sleep while enjoying the great outdoors. Fill material plays an important role in choosing the best sleeping bag for your situation. Sleeping bags are generally filled with either down, or synthetic fibers. Each fill material has different insulating characteristics. Down insulation yields the lightest weight bag, and provides superior insulating properties. In many cases, down provides the best weight-to-warmth ratio of all sleeping bag fills. However, down fill retains water and can take significant amounts of time to dry once wet. Synthetic material provides the lightweight benefits of down, while still supplying adequate insulating performance when wet. Although synthetic materials don’t compress as well as down, they are ideal for summer camping and hiking. There are two primary types of sleeping bags: rectangular bags, and mummy bags. Each type is best suited for different climates. Rectangular bags are often considered the more “traditional” style of sleeping bag. Often, rectangular bags are bulkier than mummy bags, and are best suited for car camping, or camping in climates above freezing. In addition, rectangular bags are roomier – so consider your sleeping style as a factor when deciding to invest in a rectangular or mummy bag. If you like to move around in your sleep, a rectangular bag might be just the ticket. Rectangular bags tend to fall short in colder climates. Because there is more air surrounding your body, rectangular bags are not as efficient than mummy counterparts. More air circulation means a decrease in insulation efficiency. Semi-rectangular bags such as the SEMOO Comfort Lightweight Portable Sleeping Bag attempt to bridge the gap between rectangular and mummy bags, minimizing air space within the bag while still allowing room to move. Mummy bags take their name from their form-fitting, compact design. Generally, mummy style bags are well-suited to colder climates, or when weight is a deciding factor. Backpackers and backcountry enthusiasts often choose a mummy bag due to the lighter weight, and often superior insulating performance. Another consideration: sleeping in a mummy bag often requires a person to lie on their back. Most mummy bag designs do not cater well to side-sleepers. In mild-climates, the confining nature of a mummy bag may be off-putting, but you will appreciate bundling up in cold climates! Once you have reviewed bag type and fill, consider the temperature rating of the bag. Are you planning to often venture out in cold climates? Planning on stargazing while enjoying the warm evening breeze? Either way, pay close attention to the temperature rating of a bag to be sure you choose the best sleeping bag for your most frequented destinations! Do you know your sleeping metabolism? Your own unique metabolism may affect the comfort level of standard bag temperature ratings. The stated bag temperature rating may be off 10°F or more, depending on your personal sleep preferences. As a general rule, temperature ratings break down into three distinct ranges: Summer, 3-Season, and Winter. Sleeping bag temperature ratings assume that you use a sleeping pad! 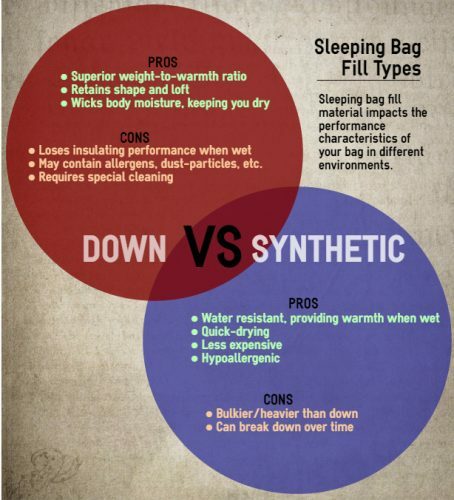 Without a sleeping pad, the performance of your bag may not match the temperature rating! See our Gear Essentials Sleeping Pad Roundup for sleeping pad recommendations! Generally speaking, use the bag temperature rating as a guide, but consider your target environment. Planning summer excursions? 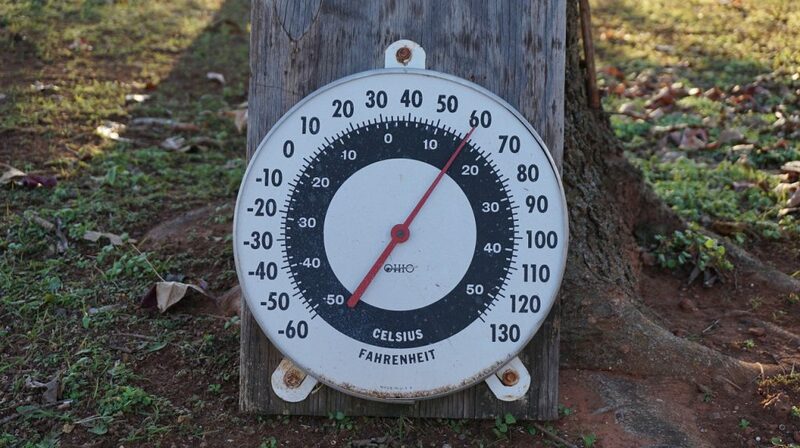 No need for anything warmer than +35°F to +40°F… Do you stretch the camping season for all it is worth? A 3-season bag (spring, summer, fall) rated for +15°F may suit your needs. Die-hard camping in the dead of winter? Look for a 0°F or perhaps even a sub-zero bag. Of course, local climate variations and personal preference play a huge part in choosing the best sleeping bag. If you plan on camping over multiple seasons or geographic regions, be prepared to have multiple sleeping bags to ensure optimum comfort. Fits most heights up to 5 ft. 11 in. See something we missed? What is your favorite sleeping bag? Let us know in the comments below!